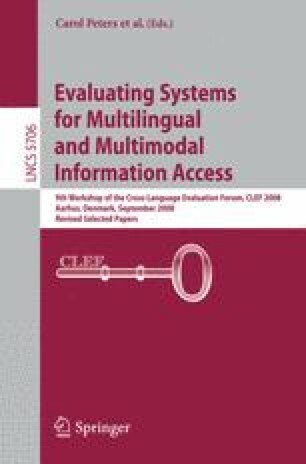 We describe the objectives and organization of the CLEF 2008 Ad Hoc track and discuss the main characteristics of the tasks offered to test monolingual and cross-language textual document retrieval systems. The track was changed considerably this year with the introduction of tasks with new document collections consisting of (i) library catalog records derived from The European Library, and (ii) and non-European language data, plus a task offering the chance to test retrieval with word sense disambiguated data. The track was thus structured in three distinct streams denominated: TEL@CLEF, Persian@CLEF and Robust WSD. The results obtained for each task are presented and statistical analyses are given.